I won’t rehash the many and varied examples of individuals with no academic achievements whatsoever going on to forge vastly successful careers; there are multiple accounts of these all over the internet which should instil great hope for anyone who is left, post results, with something of a feeling of “now what?” What I did want to do, however, was to provide the perspective of a recruiter. 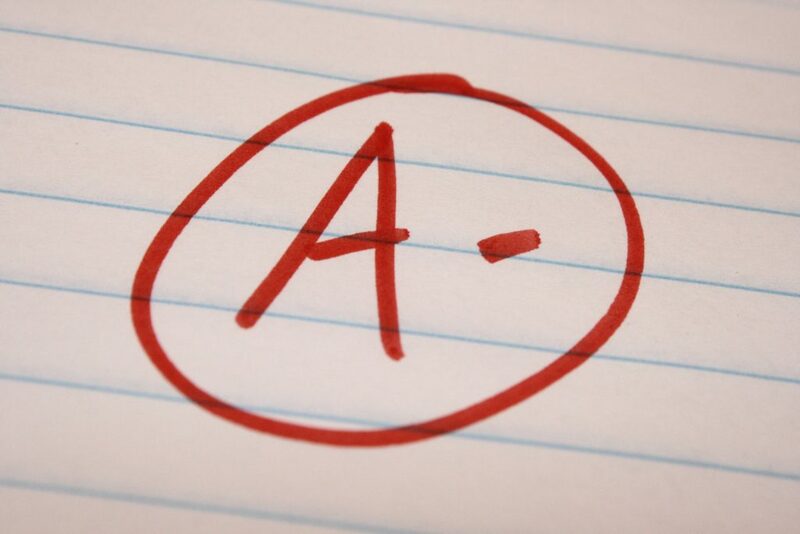 Certainly, when I was at school, there was a sense that academic grades were the be all and end all. This myth was in no way disproved by my first employers actually asking to see a copy of my GCSE, A Level, and degree certificates. (Not entirely sure how a 2:1 in Acting was relevant for a secretarial position, but there you go!) Consequently, my grades ended up front and centre on my CV; the benchmark upon which my suitability for gainful employment would forever be judged. This perspective, however, is in sharp contrast to my view now, as someone who sees thousands of CVs and offers hundreds of roles to prospective employees every single year. And so, for those just starting out on their careers, here are the traits and behaviours that I’m looking for when I screen your CV and meet you at interview… all of which are, to me, so much more important than what a number or letter on a piece of paper says about you. Give me passion and enthusiasm for what you do over grades, any day. When people come to meet me at interview stage and they love what they do, it absolutely shines out of them. Someone who is passionate about their work and enthusiastic about joining the business is going to be head and shoulders above the competition, before they even get their CV out. If you’re determined to succeed, you’re so much more likely to get there. I value people who are determined hugely within the workforce, because you know they’re going to be helping you push to achieve your goals, every single day. Honesty and integrity are absolute musts; I can’t work in an environment where I don’t feel like I’m trusted, and similarly, I can’t work closely with people whom I don’t trust. Not having the academic grades you think I’m looking for isn’t going to rule you out of an interview; lying to me about the grades that you have most definitely is. The organisations I have worked within have always been sufficiently lean that we don’t have space to carry passengers. I’m looking for people to join the team who are going to throw themselves in and do whatever is necessary to get the job done. You might be the best [insert discipline] in the world… but if you’re not going to support and help others in your team to also achieve then you won’t be getting a job offer from me. Working in a silo helps no one. Together, we are always greater than the sum of our parts. Regardless of your academic results, absolutely anyone can be proactive. It doesn’t take much to step up and ask what needs doing, but you’d be surprised how many people forget to do so and sit there waiting for work to be handed to them on a plate. Demonstrating your proactivity is a great way to make yourself stand out from the crowd and nail that interview. You might be the greatest colleague to be around in the world, but that will wear thin pretty quickly if you’re not also delivering results. As our workplaces evolve – and not before time – to be focused on output rather than input, this is the perfect opportunity for you to bring to interview all the examples of where you’ve really delivered results, and how you would do so in your new prospective workplace. Any recruiter worth their salt will be prioritising cultural alignment over skillset. Spend time on the website and social media sites of the organisation you’re applying to work for, and really start to get under the skin of their culture. Being able to talk knowledgeably about their values and culture at interview, and show how you align with these, will give you a serious competitive advantage. If I had to pick between someone who has strong academic results… or someone who has taken the time to show me that they have made an effort to understand the business, has personalised their cover letter, has thought about some of the particular challenges they might be faced with in this role and how they might overcome them… I’d take the latter every single time. Show the organisation you’re applying to work for all the reasons that you want to work for them specifically, as opposed to just submitting the same generic application that you’ve sent to every other employer out there. You’d be amazed how many candidates don’t, and therefore how much you’ll be able to stand out by comparison. We spend a lot of hours at work every week, and it’s our colleagues that can make or break what that employee experience looks like. Which means that the other thing that I’m looking for when I meet people at interview is what they’re like to be around. Ultimately, I’m looking for someone who can do an amazing job… and will also mean that coming into work each day is a pleasure, not a chore. Oh, and if they can make me laugh with some terrible jokes, and make a mean cup of mint tea, then that’s just a bonus!